Category Archive for ‘website’ « .Evolving Music.
. 2 Comments Tags: AmazonMP3, Amie Street, digital distribution, eMusic, Guitar Center, Interscope, Island Def Jam, iTunes, Jay-Z, Joan Jett, Motown Records, Napster, Nine Inch Nails, Public Enemy, Republic, Rhapsody, Tunecore. Tunecore. This gem of a company is quite frankly the only solution that DIY musicians will ever need for digital music (and video) distribution. Two of the most obvious reasons why: 1) Get 100% of the royalties and 2) Keep all your rights. 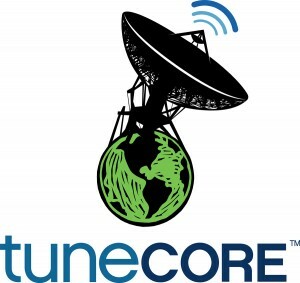 Not only is Tunecore the largest distributer in the world, touting artists like Nine Inch Nails, Jay-Z, Joan Jett, Aretha Franklin, and Public Enemy, but they are also the preferred partner for many of the top digital stores due to their speed, reliability, and low costs. For artists there is no better deal because they keep every penny from every sale of their songs. And Tunecore sales are up in the neighborhood of $45 million so far. Now, that’s a lot of pennies. On top of that, the process couldn’t be easier. Instead of submitting music to a ton of different places, Tunecore does all the work for you. 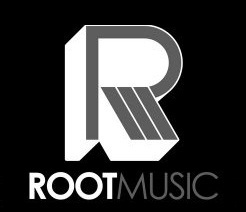 They push your music to iTunes, AmazonMP3, eMusic, Rhapsody, Napster, Aimee Street, and others, give you access to Access to Interscope, Island Def Jam, Republic, Motown Records, and can even make your song available to buy and play on Rock Band. You also get physical on-demand distribution on Amazon, get paid for your streams on MySpace, and get a streaming music player with your music for your webpage. Merry freakin’ Christmas, people! If you ask nicely, they might come over and tuck you into bed at night too. Tunecore should also be your new best friend because they’ve got friends in high places. Like, thanks to their partnership with Universal Music Group, they can help artists get their music licensed for TV, movies, and video games. Try doing that on your own. It’ll be tough. They’re also in cahoots with the folks at Guitar Center and House of Blues, which could bode well for your future. As if all that weren’t enough, Tunecore also insists on hooking you up with freebies like free digital cover art, free CD artwork (for Amazon’s Disc on Demand store), free streaming music widgets, and even free bar codes, UPCs and TuneCore song identifiers (TCSI). You’re probably wondering what the catch is by now. It all seems too good to be true, doesn’t it? They must charge like a zillion dollars, right? Nope. For $9.99, you can push your single to all 19 stores. And for $46.99 you can push your album (unlimited songs) to all 19 stores. Holy crapola that’s cheap. Another option – for the picky among you – is the “a la carte” album option that, for $59.58, let’s you select your songs and select your stores. By the way, signing up is free. Another cool feature is the custom widget. 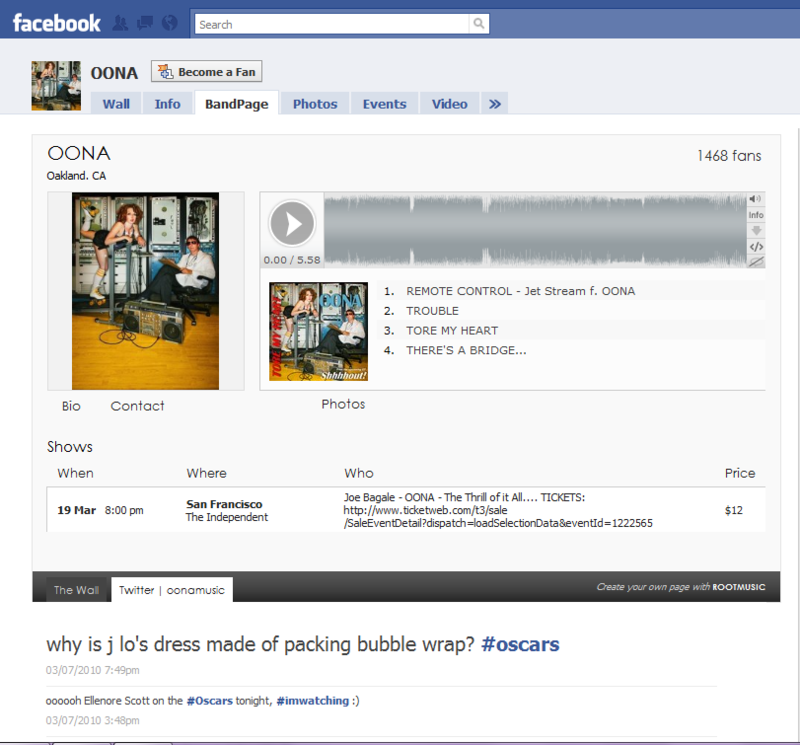 Add your songs, band photo, tour dates, streams from Twitter, Flickr, and YouTube. Be strategic and put the widget on your blog, website, Facebook, MySpace or wherever so that your fans can buy your music, see your videos, become a fan, and most importantly share your goodies with their friends. If you do well with Tunecore, they will even grant you some super exclusive opportunities. For example: Sell 100 songs on iTunes within 30 days and get guaranteed gigs at The Roxy in LA or at Le Poisson Rouge in NYC. Or if you become a Tunecore Top 10 best seller, you can get your CD in over 200 Guitar Center stores next to U2, Jimi Hendrix, and other greats, plus guaranteed in-store music play. Not. Too. Shabby. They’ve always got crazy deals and promotions going. Check out the current ones. So what are you waiting for? Don’t just make your hot sister stand there and sell your CDs at your next local show. And don’t be that creep following rockstars around LA hoping to slip one of them a demo. Just go to Tunecore, for Pete’s sake. They’ll welcome you with open arms and propel you and your music to a level you couldn’t reach on your own. Sign up for Tunecore today!
. 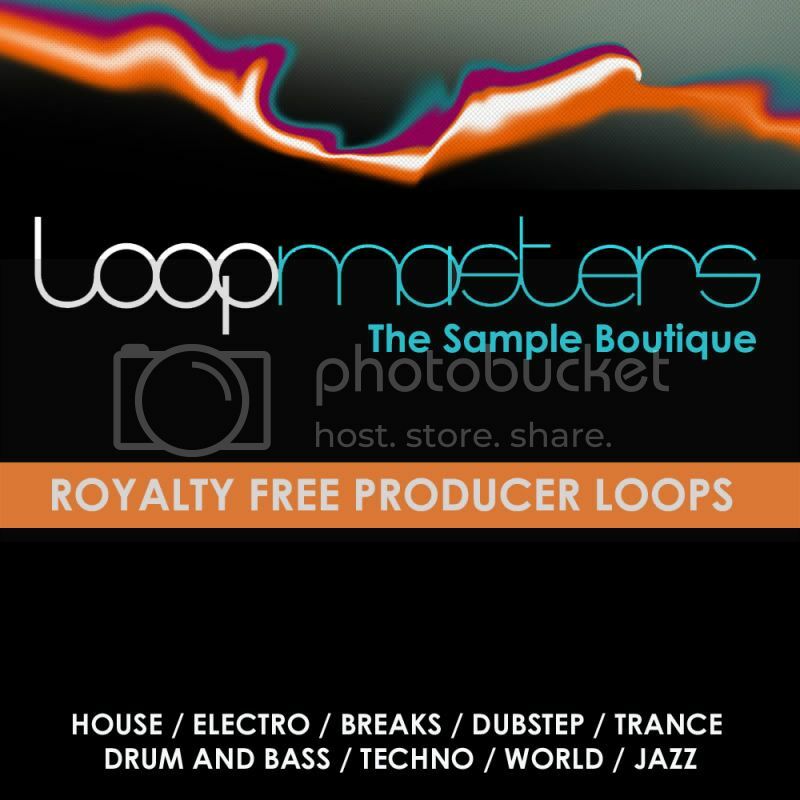 Closed Tags: digital distribution, emerging artists, indie musicians, labels, record labels.
. 3 Comments Tags: band manager, Bandize, Get Satisfaction, SXSW, Twitter.